May is Asian-American History month, so in honor of that we wanted to review one (or more) Asian-American authors on Scintilla. Curtis C. Chen has written two books in his “Kangaroo” series. Both are delightful, funny, and solid science fiction novels with a quick witted protagonist who fancies himself to be part James Bond and part Han Solo–and tries to avoid tendencies toward Inspector Clouseau. Kangaroo is the code name for an earth-based spy. He is smart, though perhaps more smart-mouthed than wisdom would recommend. He is supported in his field work by Oliver, who handles his high tech gadgets, and Dr. Jessica Chu, who keeps him healthy. And he brings a special talent to his spycraft: the ability to access a parallel universe at will. This allows him to store things (and sometimes people) and access them again at will. No one, including Kangaroo, understands how or why the process works, but as long as the objects can endure space (no gravity, hard vacuum, extreme cold) he can pull them back out when he needs them. He cannot enter the other universe himself, but the ability to pull a lockpick or a squadron of space-suited soldiers out of the air can be incredibly useful in the spy game. Since this alternate dimension is called “the pocket,” it inspired his codename of Kangaroo. In Waypoint Kangaroo, our hero is on a vacation to Mars that proves to be not very relaxing. 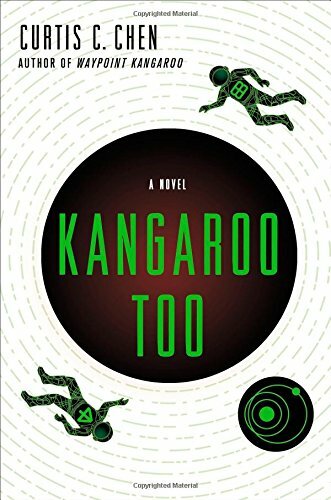 When the ship is hijacked and turned into a weapon, an unresponsive hulk aimed toward a Martian city with the intent to destroy it, Kangaroo is the only one who can stop the ship and save both the passengers and the residents on Mars. 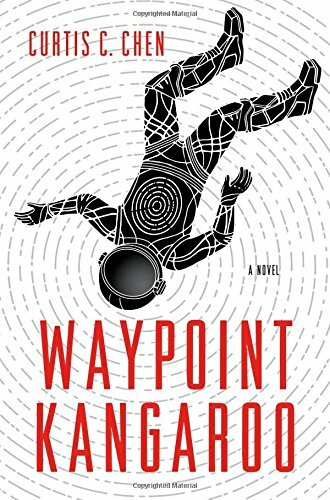 In the sequel, Waypoint Too, Kangaroo goes on a mission to the moon with Dr. Jessica Chu. They are there to meet an old acquaintance of Dr. Chu’s, but when another contact of hers is murdered and she is accused of the crime, Kangaroo’s fieldwork, pocket universe, and smart mouth are put to the test. Chen never loses sight of his characters. Science fiction sometimes focuses on the tech to the detriment of the people. Waypoint Kangaroo and Kangaroo Too focus on the characters. Kangaroo is emotional, volatile, and sometimes immature. Dr. Chu is stern, surly, and often frustrated at her patient. The other characters are also well formed and make very human, often unpredictable, decisions. The future envisioned by the Kangaroo novels has sophisticated tech and settlements throughout the solar system, but is populated with the same kind of people that we meet daily. They fall in love and out of love, they drink too much, they fight with their siblings, they support each other and they betray each other. Sometimes they tell bad jokes, sometimes their feelings get hurt, sometimes they make mistakes. Chen’s Kangaroo novels are fun. They do not take themselves too seriously, but they do show that Curtis Chen is a writer to take seriously. Hopefully there are a lot more Kangaroo novels, and other novels from this young writer, to come.